All you can eat vegetarian Ethiopian food for only $8.99? We are very lucky in Ottawa. On Sunday my partner and I visited the East African Restaurant to try out their all-you-can-eat vegetarian (actually, vegan) Ethiopian buffet. We were going for a long hike after, and wanted something that would give us a lasting source of energy. For $8.99 per person, you really can’t go wrong. 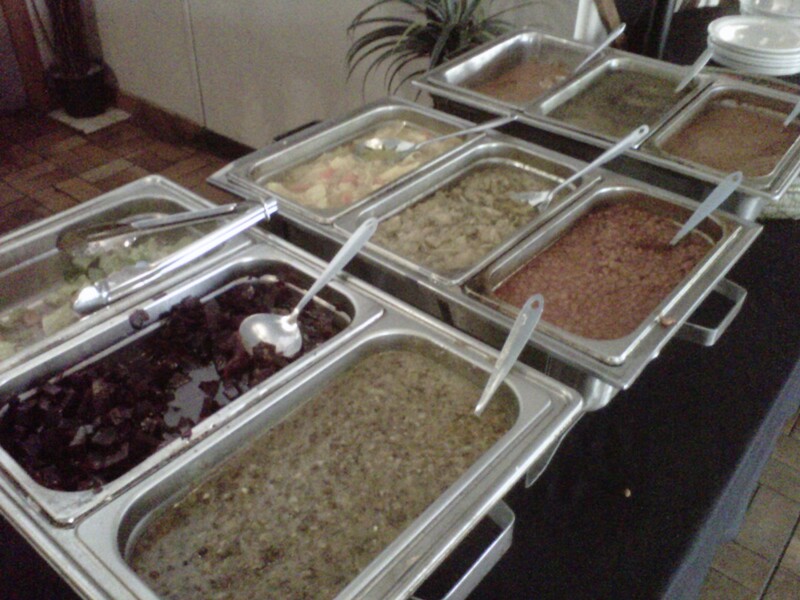 The buffet features a half dozen hot dishes, mostly lentils and vegetables in sauce ranging from mild to very spicy, as well as a few cold options. There was no shortage of injera. I filled my plate twice. Only one of the options at the buffet is on the restaurant’s usual vegetarian platter, and I’ll admit that I missed the other two. But there were new options I’d never tried, including spiced zucchini, which was delicious. The buffet runs seven days a week, from 11 a.m. until 3 p.m. While NCVA members have a 10 per cent discount here, it does not apply to the buffet. But if you’re looking to fill up on the cheap, this is a good way to do it. We followed our meal with a two hour hike on some of Gatineau Park’s toughest trails, and were still satiated five hours later. Ohhhh mannnn! I can’t wait to go. Ethiopian is one of my favorites and I can’t wait to try new dishes. I’m going to have an aneurysm if I don’t get some soon.